This Saturday the Beachboys make the 340 mile round journey to Bath City for more National league South action, Sammy Moore and the squad will want to improve the away form this season starting with their visit to Bath. 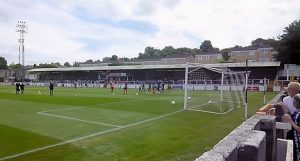 Nicknamed the ‘Romans’, Bath City were founded 129 years ago (1889) originally named Bath AFC, Bath City play their matches at Twerton Park a rather historic and impressive ground that has a capacity of 8,840 (1,006 seated) making it one of the leagues biggest stadiums. The ‘Romans’ have a rather impressive 29 honours to their name including being champions of the Somerset cup a spectacular 21 times, more than any other club in the cup. Despite a large number of trophies won, our opponents haven’t lifted a trophy in 8 years, the last being the Conference South play off final. Our opposition are sitting just inside the play off spots (7th) on 29 points, just 4 below us however the ‘Romans’ have two games in hand over the Beachboys, making this match an evening bigger one. The ‘Romans’ have recorded some good results so far this season, wins over Hampton and Richmond Borough, Dulwich Hamlet, St Albans and Eastbourne are all results to be pleased with but a 3-1 victory away to Woking is sure to be a season highlight. Meanwhile the Beachboys come off back to back home wins against Hampton and Richmond Borough and Hemel Hempstead both of whom were at the top end of the table last season… How times have changed! 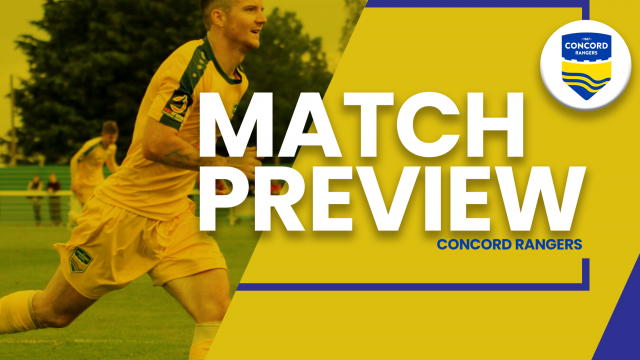 Last Saturday a goal by Alex Wall and a stunner by Liam Nash made all the difference as Concord ran out 2-1 winners over visitors, Hemel Hempstead despite the home side being down to ten men for the majority of the game. On Tuesday night Sammy Moore’s squad faced Hampton and Richmond Borough under the floodlights of the Aspect Arena, despite Hamptons league form most people made this game out to be a tight affair, if that was you… You were wrong. A brace by Liam Nash, a sublime finish by Sam Blackman and a goal by Jack Midson got the Beachboys all 3 points against the ‘Beavers’ in a action packed game. A win for the home side, Bath City could see them rise as high as 5th position while a loss could see them drop as low as 13th place. Meanwhile for the Beachboys a win could see them theoretically move top (1st position) only if we score ALOT of goals or Torquay United Conceded alot (10), Concord Rangers could drop as low as 6th position, still a comfortable play off position. Connor Essam is unavailable for Saturday’s match due to his red card last week vs Hemel Hempstead. Kick off is 3pm for this match, you’ll be able to follow the game on twitter OR download the ‘Concord Rangers Football club’ app for FREE to listen to live commentary of the match. Car Parking- There is a large car park at Twerton Park but we’d advise you arrive early to get a space, otherwise you’ll find parking spaces around the near streets.